The revolt of Boudicca, followed by the genocide by Plautius had an impact on Britain and it's people for many years to come. 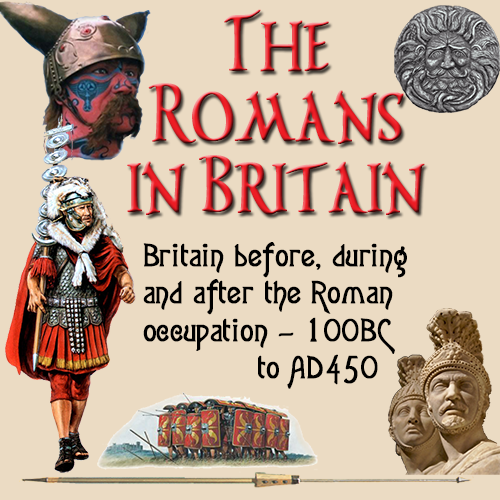 It was a period where Briton and Roman worked alongside each other to build up the country once again. The Romans had come to realise after so many years, that suppression of the natives of conquered countries would lead to unrest and rebellion. To govern a country effectively, they had to work with the inhabitants and show them how their lives would be improved by being part of the Roman Empire. Under Petronius Turilianus and Julius Classicianus, the style of government changed dramatically. The Colchester experience had made the Romans wary of putting the Britons further up the social ladder into positions where they would have a great responsibility. There was insufficient time lapse between the mass slaying of Britons following the Boudicca revolt to give the higher social classes more opportunity to influence the country. Their memories were still fresh. First the Romans had to undo the damage that Plautius had caused. They had to win the confidence of the British in order to govern the country and ensure no further rebellions took place. It was at this period that new towns came into being and many towns had new buildings erected. Fifteen years after the rebellion, a start was made on the complex of baths and temples at Bath in the West. This incorporated native design in an attempt to publicly bring the Romans and Britons closer together. This was a time of reflection, adjustment and rebuilding. London, Bath and Colchester, where the temple was rebuilt are most likely to have been the main centres where new developments are most likely to have taken place. The funding would have been supplied direct from Rome so as not to burden the British with more taxes to pay for these constructions. The Britons were gradually won over to the Roman way, as is hinted in the writings of Tacitus. By 63 AD. Britain had a new governor, Trebellius Maximus. By this time the British had learnt the benefits of peace and civilisation. The British had at last been persuaded to come away from the path of tribal attitudes. They did not have to wage war on each other purely to demonstrate strength and power. Tacitus wrote of a speech supposedly given by Petillius Cerialis during the European civil wars of 68-69 AD. This speech was of special interest, as it was given shortly before Cerialis was sent to Britain to be the new governor. It certainly gives an insight into the change in attitude that influenced the provinces in the latter part of the first century AD. It also shows how the Roman publicity machine could make an invasion appear to he been by invitatioin. The reason why Roman generals and Emperors came into your territories and those of the other Gauls, was not a desire for gain, but at the invitation of your forefathers. They had become so exhausted by internal strife that they were close to collapse, and the Germans whom they had called in for help had seized power over friend and foe alike. We did not occupy the Rhineland to protect Italy, but so that another German leader like Ariovistus should not impose his rule on the peoples of Gaul. Until you conceded to us the right to govern you, there were wars constantly among you, and local despots in control all over Gaul. Yet, though we have often been provoked, we have used our victories to impose only those burdens that are unavoidable if peace is to be preserved. Peace between nations cannot be maintained without armies. Armies need paying, and that means taxes. Everything else is shared with you. You and your fellow countrymen frequently command our legions and govern these and other provinces of the empire. You are not excluded from anything. In fact, in one way you benefit especially the good that flows from popular emperors reaches everyone, far and near, but the evil wreaked by tyrants falls on those closest to them. Just as you put up with natural disasters such as too much rain or poor harvests, so should you look upon extravagance and greed among those who are in power over you. There will be faults as long as there are men, but they are not with us all the time, and better times compensate for the bad. But do you really expect a milder regime if Tutor and Classicus [seen as rebels by the Romans] take over? Or that they will reduce the taxes necessary to support the army that protects you from the Germans and the Britons. If he Romans are expelled - which Heaven forbid! - what else can follow but world wide conflict, in which each people will fall on it's neigbours? Good fortune and discipline have gone hand in hand over the last eight hundred years to build this structure [the Roman Empire], which destroyed will bring down all together. At present, victor and vanquished enjoy peace and the imperial civilisation under the same law on an equal footing. Let your experience of the alternatives prevent you from preferring the ruin that will follow on revolt to the safety that is conferred by obedience. Cerialis pointed out that his audience now prosperous and romanised were in danger from being too well off. The more that the provinces became like Romans, the more they needed the Romans to give protection that only the Romans could give. He tried to influence the natives by suggesting that they were so much endeared to the Roman way of life, they could not exist if the Romans departed and left them to fend alone.